For companies that are a little larger, heat seal plastic tubing becomes the most common form of packaging. 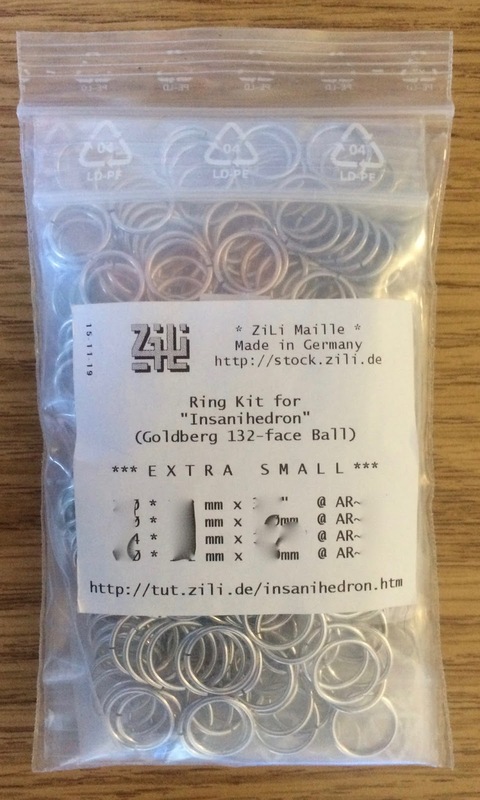 There is one operation that packages per order so that the rings come in a long, unlabeled, sausage-like strip of tubing with a heat seal between each type of ring. Customers must match the segment of the tube to the invoice to figure out where each size ring is included. 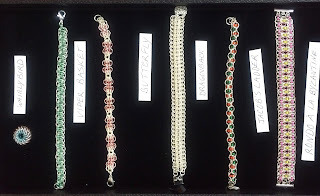 Even with companies that sell wholesale to private bead stores, this type of packaging is prevalent. Kind of a one-size fits all approach. HyperLynks packaging to the left is a very good example of how this packaging can work in a retail environment. By creating a custom insert for each kit, they have created a functional, practical design. 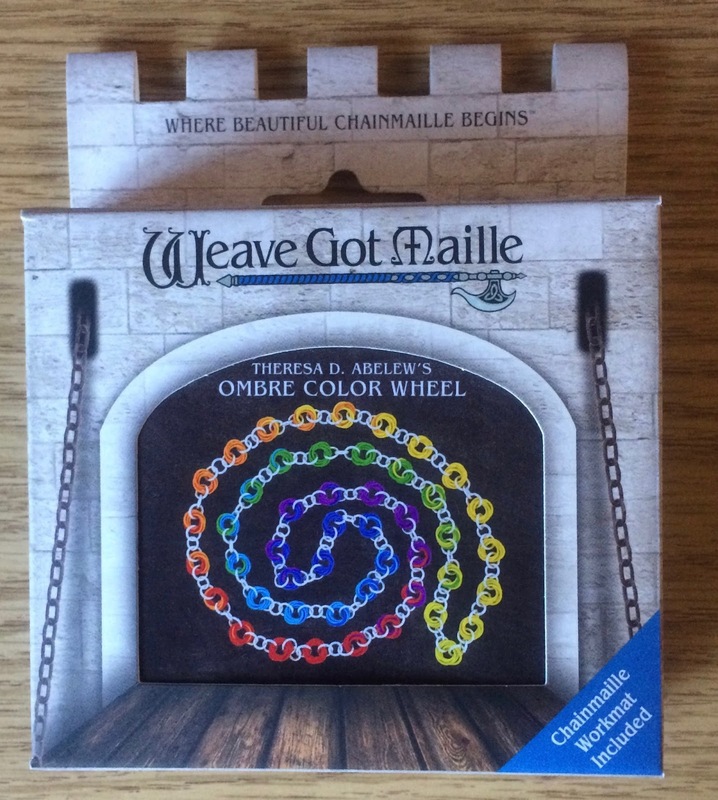 Then, there is Weave Got Maille. This company has positioned itself for growth and their packaging shows this mindset. Weave Got Maille uses the heat shrink bags for their loose rings, but they have chosen the more expensive tubing that is white on one side to help the rings stand out. They have also had the tubing printed with their logo. The final package includes a cutout for hanging so that retail outlets can easily display the bags. 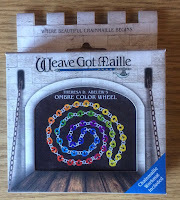 The packaging for their kits is where Weave Got Maille really stands out from the pack though. 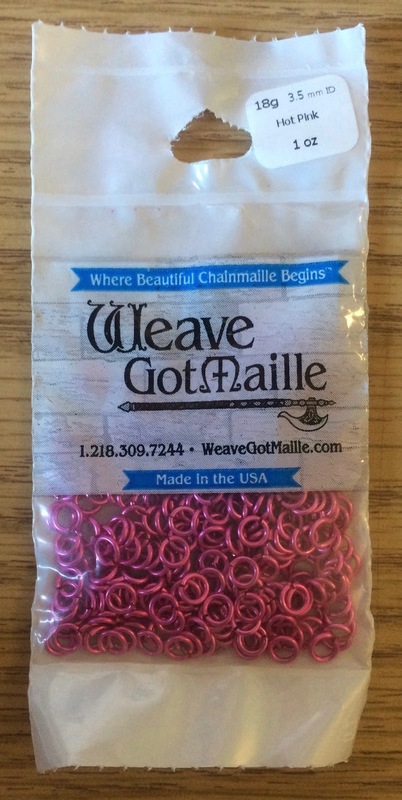 Their packaging is easily the best in the chain maille industry. The outer box is made to resemble a castle in homage to the medieval history of chain maille. 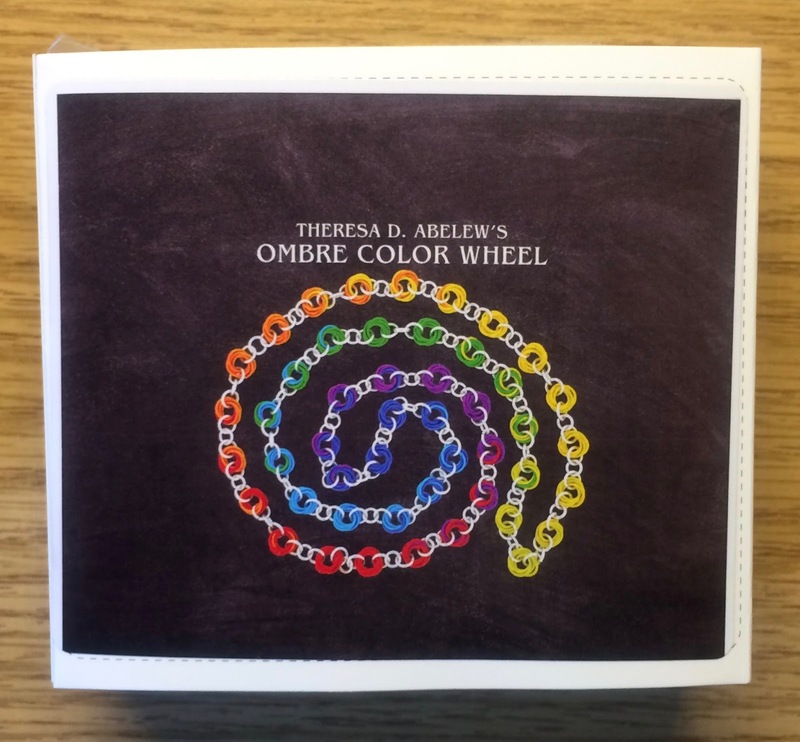 The area inside the arch is cutout to allow for a picture on a thin cardboard sleeve to show. Thus, by simply sliding the different sleeves into the outer castle box, the box may be used for all of their different kits. By thinking outside of the standard "box", they created a packaging system that is ready for retail. 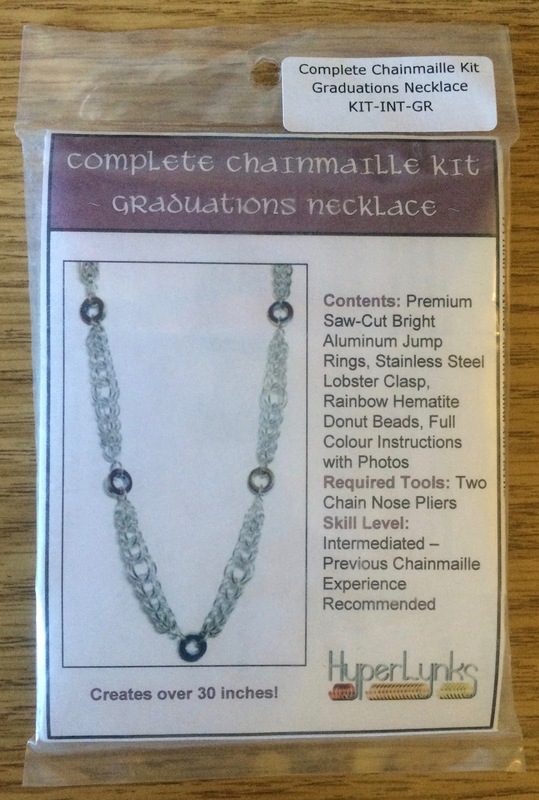 As a result, they have become the first chain maille company to sell wholesale to large retail craft stores. This opens the doors to a whole new set of consumers. Keep in mind that I am not saying that using plastic tubing is wrong--I am just saying that few companies have distinguished themselves from what "all the other companies" are doing. Also, I realize that companies are in different stages of growth. Keeping packaging costs low, keeps costs low for the customers as well. But, my point is, are companies limiting their growth by not being forward thinking in their packaging? Here is how this ties in to law. It seems that law schools sometimes take the attitude that the "plastic tube packaging" that every other school is using is good enough. Few seem to be willing to break out of the pack and create a new model. Certainly there are barriers to new models, but the schools that create the "packaging" now will be poised for greater opportunities in the future. Law schools should be creating the "outer castle box" based on the American Bar Association requirement. 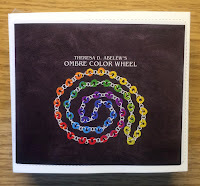 Then, the school can focus on the inner "sleeve" to create new models for their students that will fit within the "box" but allow for change.